It is important to understand the difference between source and resources. The Apostle Paul “learned” how to handle both lack and abundance. He did not learn how to become comfortable with having less or how to boast when having more. Paul learned how to rely on God as his Source and live in contentment, not in frustration. Trusting in our resources ultimately leads to frustration. Trusting in our resources is relying on a limited supply. Trusting our Source is relying on an unlimited supply. Recognizing our source puts you in position to receive from God who is our Source. 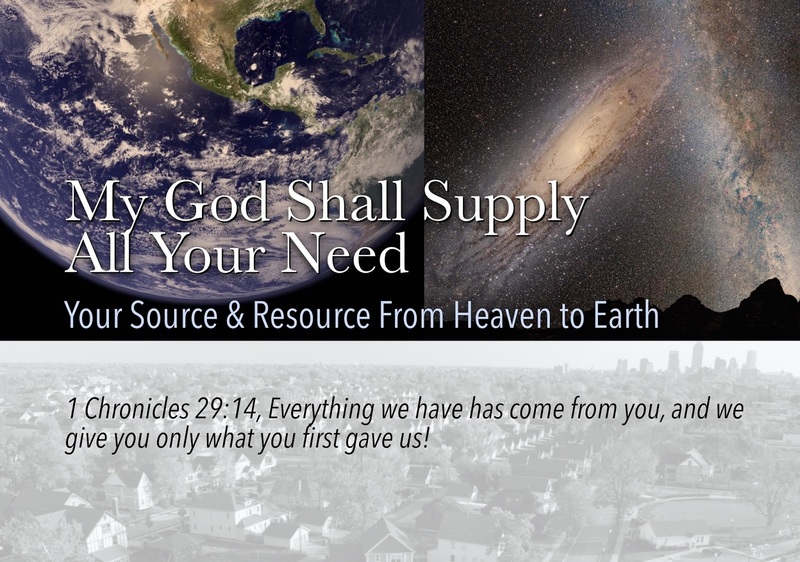 God as Source reigns over all and has a endless supply!